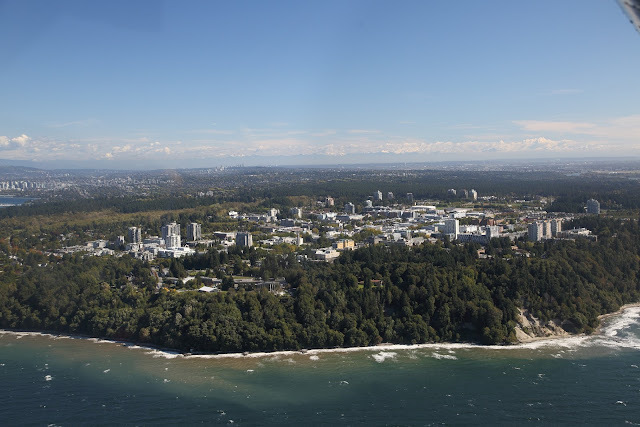 Recently I was at the University of British Columbia, one of Canada's largest universities, which also happens to be one of Canada's most prestigious, being regularly ranked in the top forty worldwide. I was there to cheer on a friend of mine who was graduating. As with most graduations, there was a plethora of speeches given and all were sentimental and lacking in substance. One of the speeches given, however, was by Lindsay Gordon, the chancellor of the university and former head of HSBC, and his speech was far more sinister than the dominant sentimentality. Canada "a nation of immigrants"? Almost immediately Gordon began his speech by calling Canada "a nation of immigrants", and he stated that he was also an immigrant. I could barely contain my displeasure. First off, Lindsay Gordon is of Western European stock and his mother tongue is English. It would hardly be fair to call him an immigrant in the sense that most now understand the term. Chances are that by calling himself an immigrant he hoped to make a connection between himself and the wide variety of foreigners coming to Canada today. As if to say that we are all one. This is preposterous. Cultures are different, races do exist and multiculturalism is balkanization pure and simple. Technically, yes, he is an immigrant as he was not born here, but his cultural and ethnic background is that of the majority of Canadians, meaning his migration is hardly comparable to that of the many Chinese, South Asian and Arab immigrants flooding Canada today. His migration was no more of a shock than say a Cornish man migrating to Northumberland. Canada cannot "accurately be portrayed at Confederation as a nation of immigrants". In 1867, 79 percent had been born in Canada. Over the 400 years before Confederation, there were only "two quite limited periods" of substantial arrivals of immigrants: from 1783 to 1812, and from 1830 to 1850. In these two periods, the immigrants were "overwhelmingly of British origin". In the case of Quebec the amount of immigration from the motherland was far fewer as in the aftermath of the Seven Years War New France had fallen to the British and ties with France were all but broken. The French-speaking population numbered about 70,000 in the 1760s, and thereafter, until the late 1800s, the population expanded rapidly with women having 5.6 surviving children on average. By 1950, the Quebec population was almost 4 million. This increase was not a result of immigration but of continuing high fertility rates. I am — and surely many of those associated with the CEC, readers, contributors, etc. — the descendant of British colonists who arrived before there was a United States let alone Canada! Would Gordon really have the gall to call me an immigrant!? My ancestors literally built the two great nations in North America, they settled the land, farmed it, built highways and all manner of buildings upon it; yet, if we are to believe Gordon, they are no different than someone who has only just arrived to enjoy the fruits of my ancestor's labour? And the later intake of settlers that occurred in the aftermath of Confederation were almost exclusively European in makeup, with Germans being perhaps the largest group. The only major difference between Germans and the founding peoples of Canada is linguistic. The German settlers were all either Protestant or Catholic and as Europeans obviously come from the same racial stock as French and Anglos. The same could also be said of the Icelandic, Italian, Dutch and other Western European arrivals. A greater difference exists between the founding peoples and Ukrainians, Greeks and Russians — who also began arriving in large numbers towards the end of the 20th century — as these people are Orthodox but again they were all white Christians. Hardly a clash of worlds. Gordon peppered his speech with the terms "diversity" and "inclusiveness". I cannot remember just how many times he used these terms but it was almost excessive. These are terms which, like a wolf in sheep's clothing, appear harmless on the surface but on further inspection are revealed to be deadly. As we all know these terms have been used time and time again by those who are anti-western. They hate whites thinking that we are somehow evil and that western culture is worse than others. This is absurd when one considers that human rights, liberties, democracy and all the other values they claim to stand up for, are western inventions. If we go, then they go too. Indeed thanks to mass immigration we here in Canada have seen an increase in truly barbaric practices — sorry Trudeau but yes barbaric is an appropriate term for them — like FGM and so-called honour killings, which thankfully were unknown in the days before Pearson. How can liberty and human rights exist among people who routinely mutilate and even butcher their own women? After Gordon the university president Arvind Gupta gave a speech. His was thankful without the obvious lies that Gordon had just peddled, but he still made a point of discussing the importance of foreign students and on opening up UBC to the international community. Now there is nothing wrong with pandering to students coming to Canada for education but the problem is that Gupta, like his predecessors, is putting a greater emphasis on international students. No doubt he shared Gordon's views about Canada as a land of immigrants! 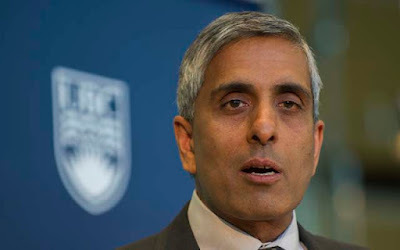 There is money to be made in pandering to the largely non-white population of UBC. UBC president Arvind Gupta: We must internationalize UBC to serve foreign students from Asia; UBC is still too white and too Canadian. How much do leftists really care about Amerindians? What is truly strange about Gupta and especially Gordon's speeches is that they both went out of their way to address Amerindians. The amount of Amerindians in UBC is quite small and they do not have the obvious financial draw that foreigners do, so why do Gordon and Gupta care? Well, Amerindian issues have become important in recent years as it is in vogue for the left to promote them. Given the promotion of multiculturalism and mass immigration I seriously doubt that Gupta, Gordon and others of their ilk really care that greatly about aboriginal issues. An influx of foreigners does not in any way help the non-white indigenous inhabitants of Canada. Multiculturalists vocal about Amerindian issues offer nothing of value or substance to these people, but rather care about how "diversity" can be used as a lever against Eurocanadians. Is it not ironic that those who cry loudest phrases such as "diversity" and "inclusive" in reality want and indeed promote monoculturalisation? They are in my experience the very opposite of inclusive and diverse. Such people also tend to be very vocal about Amerindian issues but they offer nothing of value or substance to these people. They may truly wish to help aboriginals but their goal of monoculturalisation will ultimately negatively impact Amerindians and other peoples of colour as much as it will and is negatively impacting European people. I think for most leftists Amerindian issues are ones they do care about but they also love how it can be used against whites. We are the ultimate enemy for the left. Do they realise that it was their ideological progenitors who attempted to assimilate Amerindians? I saw white people with native drums and at almost any protest these days Amerindians in traditional dress are a given. Again there are awkward looking white people with native drums. It is like these people are a spectacle, a tool to be used for the furtherance of a particular agenda. Gordon may care very much for these people but in the end I got the impression that he is simply pandering to cultural Marxist doctrine. Gordon, Gupta and their like are also seem to be completely blind to the fact that flooding Canada with non-whites will in no way help aboriginal peoples. In fact it may make the situation worse as they do not have the liberal guilt that whites have. A good example of this pandering from the university as a whole is the presence of signs on campus stating "British Columbia; today your host is..." followed by the name of a tribe native to BC. When I was there the tribe featured was Cree; a people who did in fact inhabit parts of BC but were never out this far west. Evidently these are meant to be art. And also they are meant to challenge the viewer and make us re-think BC history. I would argue there was nothing artistic about these signs and it is hardly radical for people to be aware of the tribes native to British Columbia or any other province. However there is something radical about these signs. The term "host" to me states that Europeans are not meant to be here forever. That Canada is not ours. That we did not settle here and build a country, a province, a university that are in every way examples of a wider European tradition. These signs are about undermining our history and ties to this land; not about highlighting Amerindian heritage and tradition. There is money to be made by focusing more on foreigners and there is status gained by focusing on demographically insignificant Amerindians. There is nothing to be gained by being faithful to the people who built this country and its institutions; UBC included. This is truly distressing to my people and heritage, and to the country that Gupta and Gordon should be protecting. Without them such men would be nothing. This country opened its arms and welcomed them. Its heritage nurtured them and allowed them to gain such prominent positions. And in return they call for balkanization? As far as I can tell this is incredibly disrespectful. The final point I wanted to mention is that my experience at UBC has only confirmed what I have known for a while now. Universities in the west are no longer about education but activism. As a result free speech is dying on campuses. A recent study titled Crisis of Competence undertaken by the US National Association of Scholars, discusses how American universities — and more specifically UC Berkeley — have declined rapidly from centres of learning to cultural Marxist echo chambers. UC Berkeley is perhaps the best example of a leftist dominated university and now so much attention is placed on anti-western ideology and leftist dogma that the basic quality of education has fallen dramatically. Writing and reasoning skills are incredibly low and there is little understanding of the basic history of their own society. [A]re the ones most central to education for citizenship, that is, education about the history, culture, and political institutions of the society in which students live. Uniformity means an absence of challenge and consequently of intellectual depth. And so a recent study by UCLA's prestigious Higher Education Research Institute found that more faculty now believe that they should teach their students to be agents of social change than believe that it is important to teach them the classics of Western civilization. An academic goal now ranks below a political one. Once more, we see how political goals will always undermine academic ones. However nothing is done to turn the tide. The rot truly has set in. The worst offenders of this activism are essentially all courses with "studies" in the title. Or at least this has been my experience. The instructors do not even try to hide their ideology and they certainly do not tolerate opposing views. Often these courses sound made-up and completely false; our forefathers would scoff at such titles as those held by actual "professors" at Concordia University in Montreal. But even legitimate studies have been infected and this is as true of UBC as it is of any university in Canada. 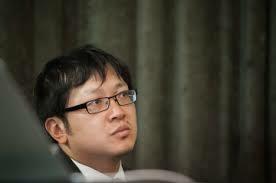 Henry Yu argues that Canada is a "white supremacist" nation that must accept the Chinese as a founding people.